Ouch! Leather Mouth Gag Purple You love a naughty game? 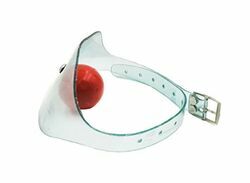 Keep your lover quiet with this mouth gag. 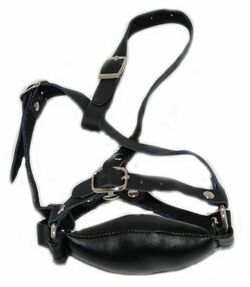 This gag has quality leather straps. The straps have holes to adjust the length. One size fits all. Use this toy on its own, or in combination with other products of Ouch! 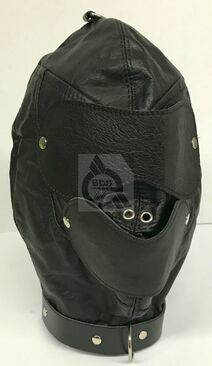 Open Mouth Gag With Removable Metal O Ring Strong Leather Straps adjustable buckle Removable Ring Ring Inner Diameter; 40mm Ring Outer Diameter; 50mm Hells Couture Leather is guaranteed to be quality genuine leather which is handcrafted to make these wonderful items for you. When you are after the best that money can buy at a realistic price always choose Hells Couture.